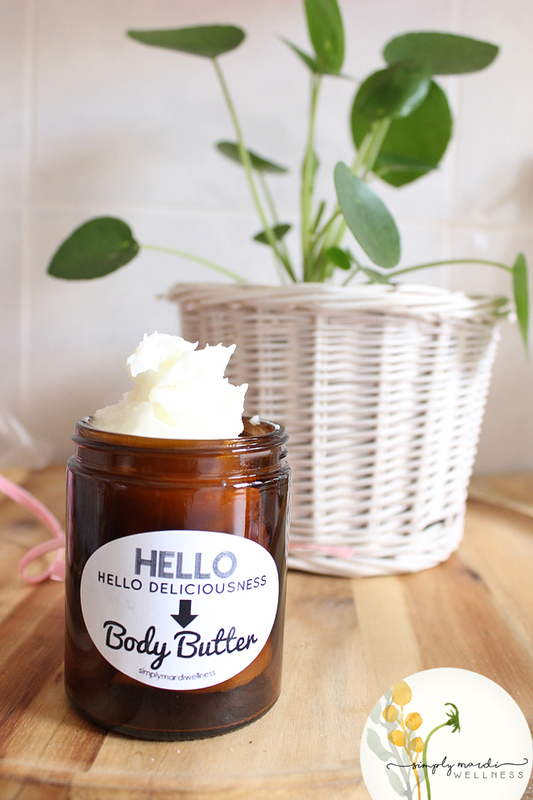 Who doesn't love a rich and moisturising body butter? But add a beautiful Essential Oil to the mix and dress it up in a beautiful amber jar with a handmade label and you have an extra special gift. 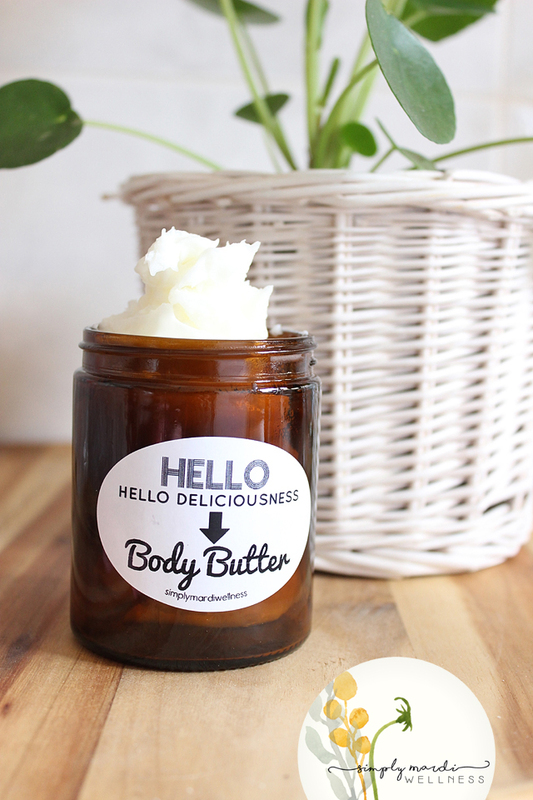 This recipe contains Shea Butter which us always a favourite of mine. Digital stamps for label design from Kellie Stamps. Add Shea butter... coconut oil and fractionated coconut oil into the Thermomix bowl and melt 4-5 minutes/70C/speed 1-2 until its melted. Allow to cool and then add the Essential oils - Mix 10-15 sec/ speed 3 until well mixed. Place the bowl in the fridge until almost solid. It must feel thick and firm. Use a spatula to scrape down the sides of the bowl. Whip 30 - 40 seconds/ speed 5 until nice and fluffy. 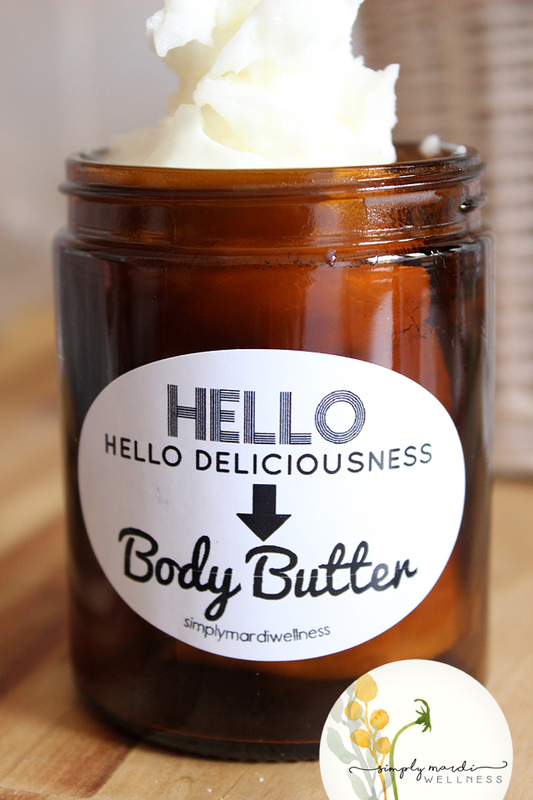 Apply a handmade label - I created my label using digital stamp designs from Kellie Stamps.